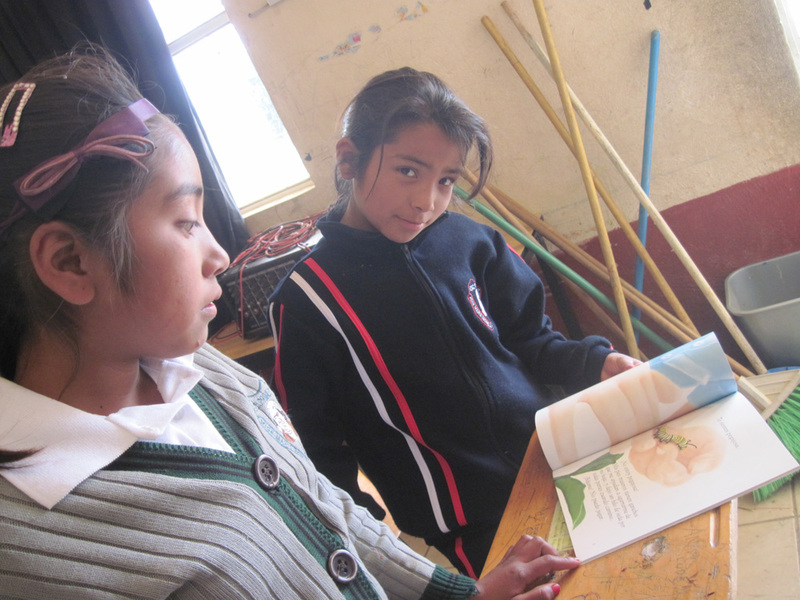 With your help, we sent 50 copies of ﻿¡Monarca Ven! 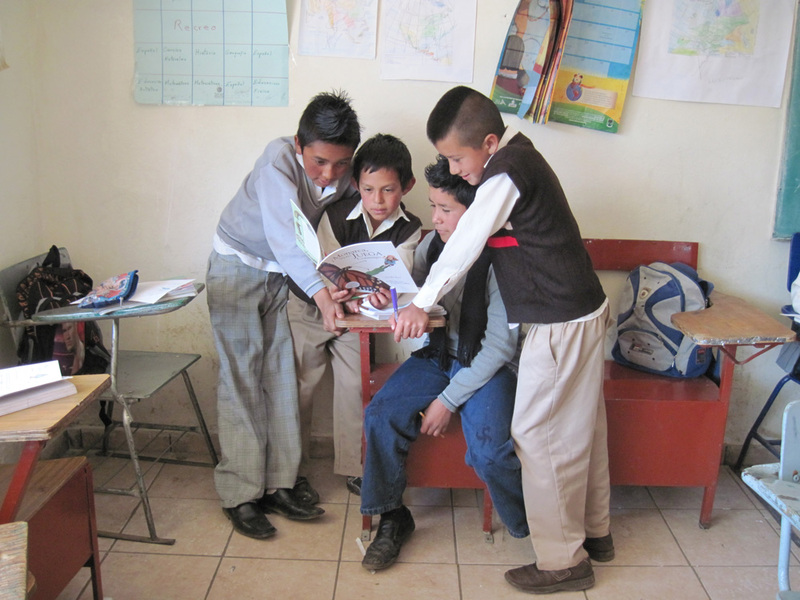 Juega Conmigo to students in Mexico. 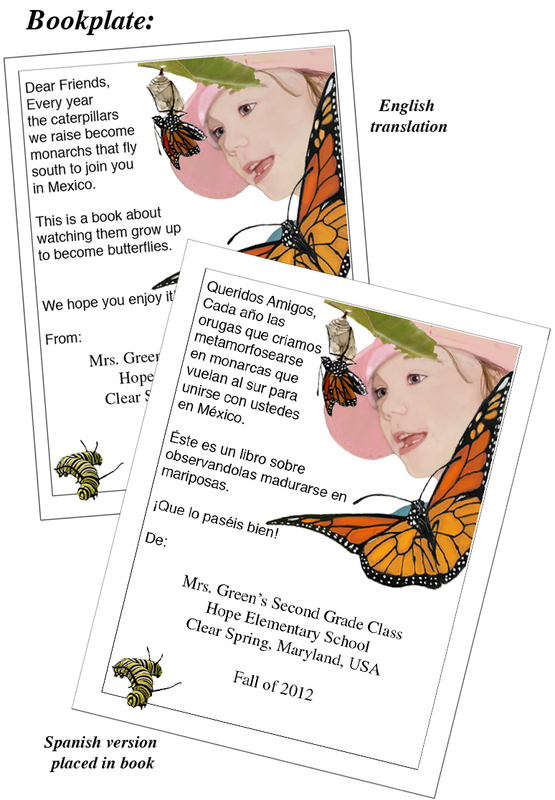 The Mexico Book Project was established in 2004 by Monarchs Across Georgia (MAG) as a literacy effort for the schools that surround the Mexican overwintering sanctuaries. 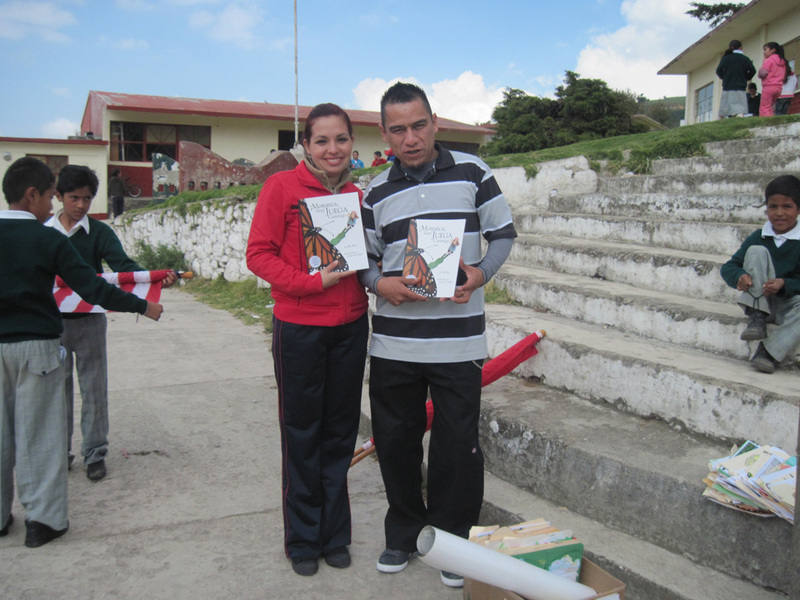 Initially, Georgia teachers traveled to the monarch region and gave books to the classrooms they visited. 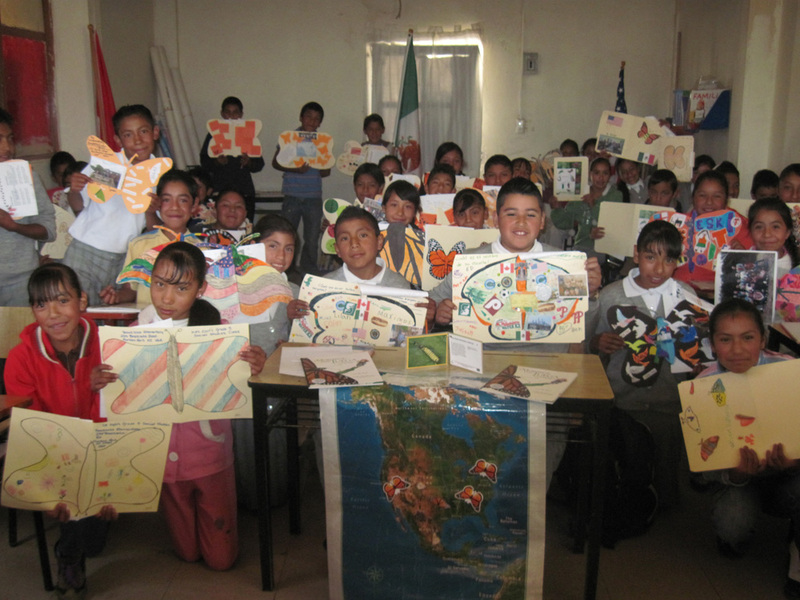 In recent years, the books from Georgia have been delivered by Journey North's Estela Romero to the same classrooms participating in the Symbolic Migration .Last year, the project expanded as Journey North and publisher Bas Relief, LLC joined Monarchs Across Georgia's Mexico's Book Project. MAG is a committee of the Environmental Education Alliance of Georgia (EEA). 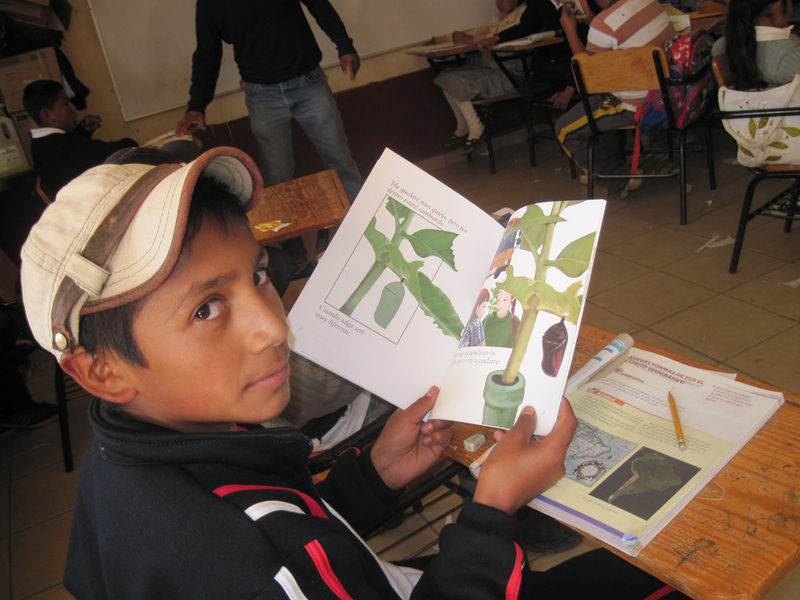 When all the orders were in and all the bookplates in place last year, we packed up the books to send them to Estela in Mexico. 50 books headed out by UPS en route to students in Mexico. 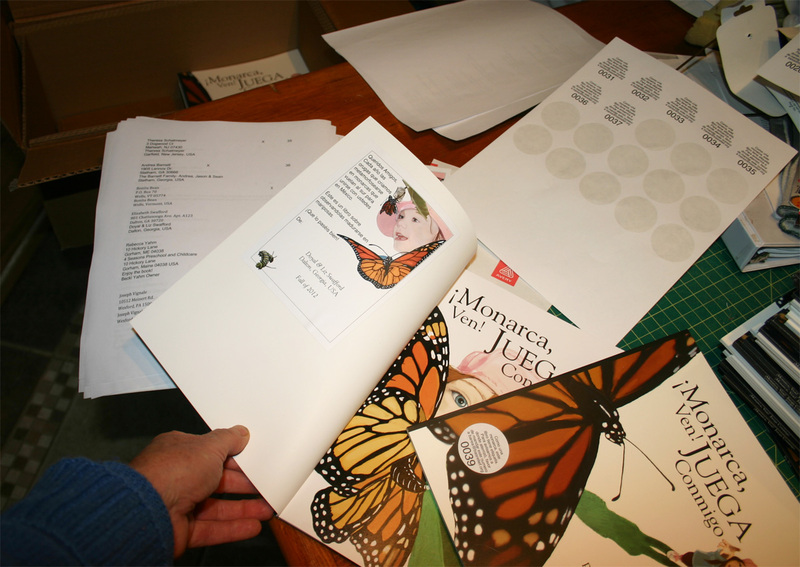 Shipping internationally is tricky, but, after a few interesting quirks, the books were in Estela's hands and heading out to the schools with Journey North's Symbolic Monarchs from classrooms around the US and Canada. 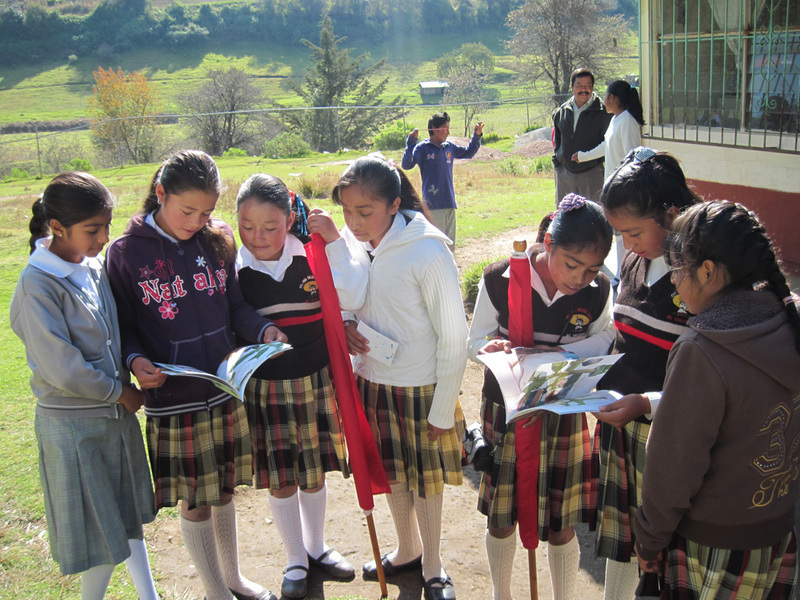 They were well received by students and teachers alike. Join us to send 50 more this year. Buy a Book Deadline is November 1, 2013 or whenever we reach 50 donated books. 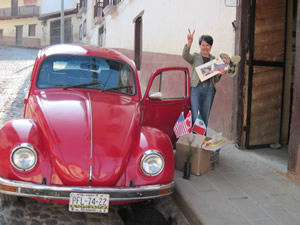 Books will be shipped directly to Mexico by the publisher. Books will then be delivered to the classrooms participating in the Symbolic Migration by Journey North's Estela Romero. Each donated book will have a bookplate with your class and/or school name, location and the date. Please take time to indicate in the "Instructions from buyer" on your order with PayPal how you would like your name and location to appear. We'll send you a thank you and a copy of the bookplate that went in your donated book. Each donated book will have a bookplate with your class and/or school name, location and the date. Please take time to indicate in the "Instructions from buyer" on your order with PayPal how you would like your name and location to appear. 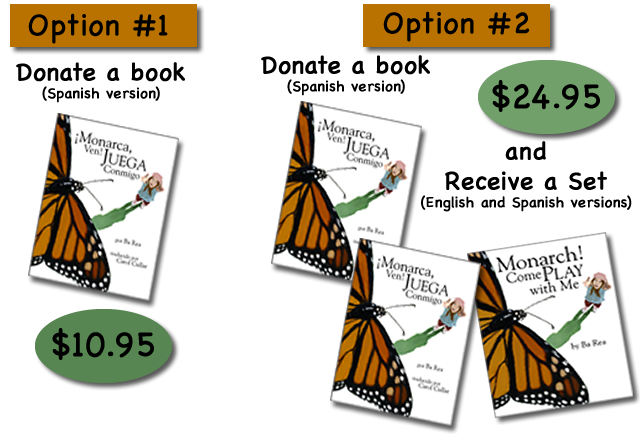 If you choose Option # 2 and order a Spanish/English set of Monarch! Come Play with Me and ﻿¡Monarca Ven! Juega Conmigo it will ship to you, with a thank you and the copy of your bookplate within a week of your order. When you check out on PayPal look for the space for "Instructions from buyer." Please use that space to write how you would like your name and location to appear on the nameplate. I will not be able to contact all of you individually for that information. If you can't find it, send the information to me at barea@basrelief.org right after you order. If I don't hear from you I will use the buyer's name and shipping address town on the nameplate. Thank you!